Product prices and availability are accurate as of 2019-04-22 13:24:06 UTC and are subject to change. Any price and availability information displayed on http://www.amazon.com/ at the time of purchase will apply to the purchase of this product. 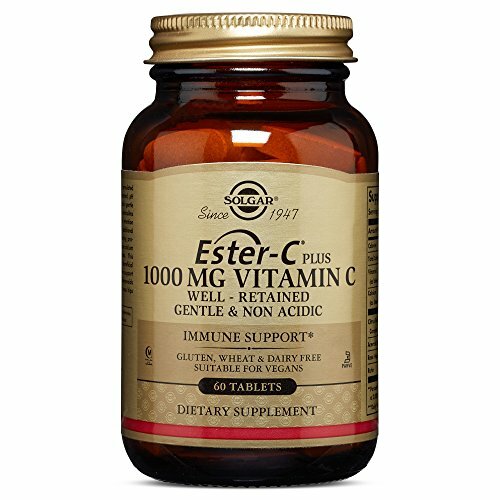 Ester-C plus is exclusively formulated by solgar and provides a patented, PH neutral (non acidic) vitamin C that is gentle on the stomach. The vitamin C metabolites in ester-C positively impact the uptake and retention of vitamin C in cells, providing additional benefits. Unique calcium ascorbate metabolite complex. Incorporates natural bioflavonoids and acerola berry along with rose hips fruit powder yielding beneficial antioxidant support and active immune system support. Suitable for vegetarians.